Come experience our beautiful show room in Shawnee, KS. We’re happy to give you a tour of our facility. If you have a quick question, feel free to give us a call. 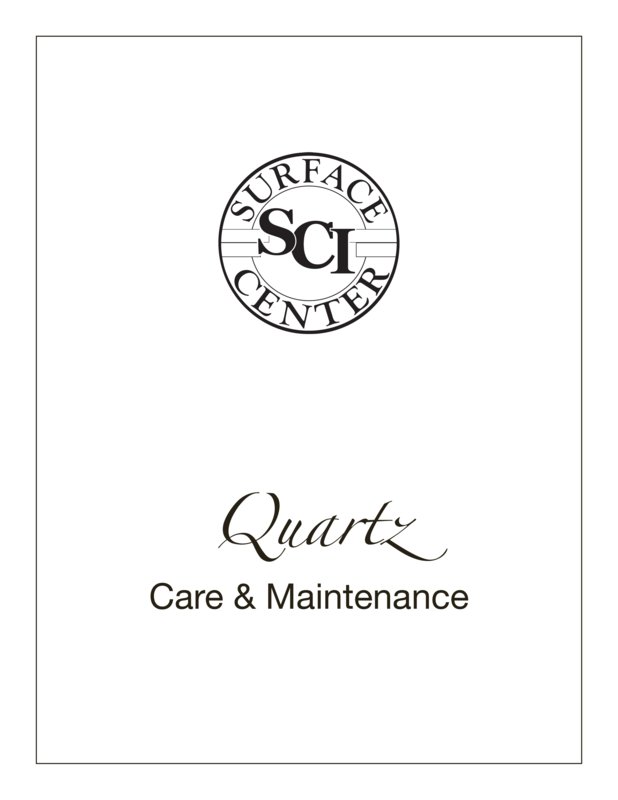 We are granite fabricators in Kansas City and look forward to introducing you to the quality craftsmanship of Johnson County’s top natural stone fabricator – SCI. SCI – Surface Center uses laser technology to custom template your countertops. Unlike most templating methods, a laser template does not disturb your kitchen and can be done over existing countertops. In most cases the countertops won’t even need to be cleared off. This technology makes it simple and easy to review radiuses, seam locations, overhangs, backsplashes, and any other questions you may have. At our showroom, our design team will walk you through the selection process from sinks and edges, to hand selecting you slabs. All sink, cook top, color, and edge selections can be made before or shortly after template. 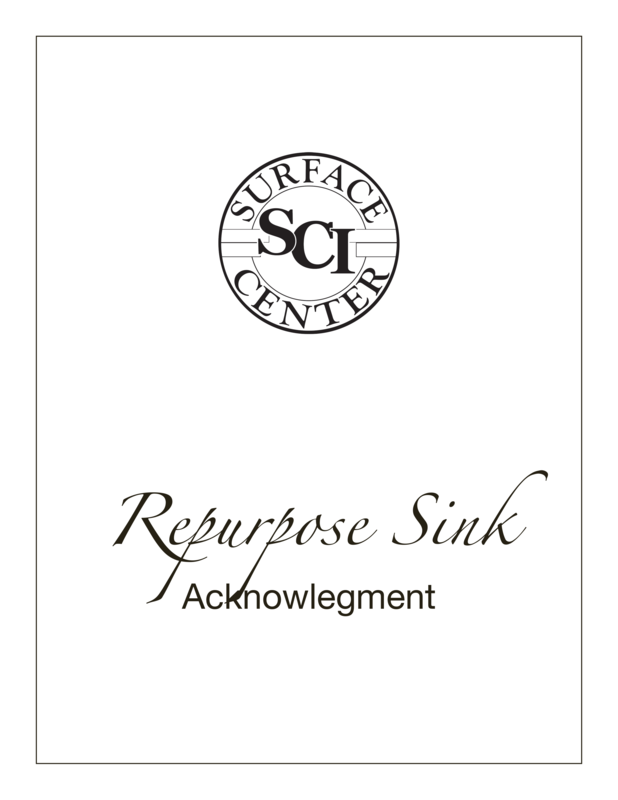 After templating and selection, your now digitized cabinets are downloaded into a computer and drafted in a Computer Assisted Design (CAD) program with your sink and cook top selections. The drawings are saved into another program called Stone Cam, which controls our CNC machine, and a program called LogoTag, which controls our Masterjet Saw. These programs guarantee accuracy and allow us to show you the layout of your countertop with just a click of a button. If you are out of town, these programs allow us to email pictures of the slabs with the digital counters laid out on the slab. 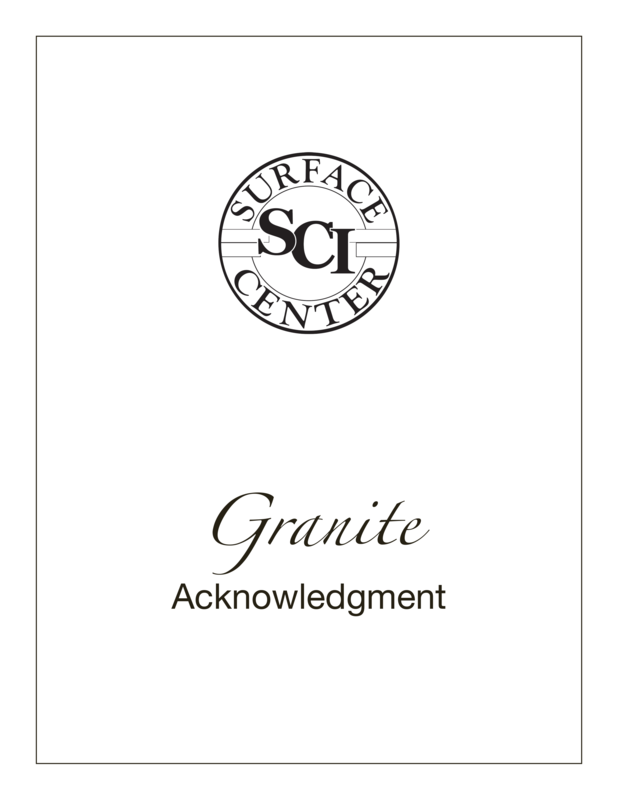 Next, your selected granite slabs will be moved from our holding area to an A-frame where a picture is taken of the slab. This picture is then sent to our programmer’s computer, who lays out the digital templates on the slab photograph. When doing so, we take into consideration the flow, or movement, of the granite and we try to avoid blemishes and “odd spots” within the rock. The slab then moves to our Masterjet Saw, which has a bridge saw for straight runs and a precision waterjet for curves and cutouts. The bridge saw uses circular metal blades studded with diamonds to cut through natural stone. The stone slab is submerged in water to cool the blade during the cutting process. 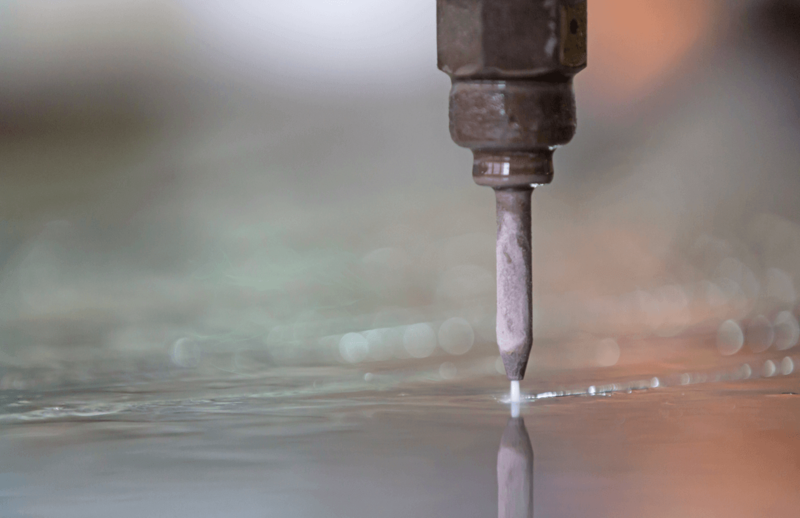 The CNC waterjet shoots water and an abrasive garnet out of a 0.014 inch hole at up to 60,000 psi. The water and abrasive travel at 3 times the speed of sound and cuts a line less than a 16th of an inch. After the pieces have been cut out, they move to our CNC machine, which was programmed earlier using StomCam to form the edge selected. These programs control every aspect of the shaping process on the CNC. This machine uses a series of bridge saws and routers to shape the edge for your granite tops. The routing tools used have a spinning blade covered with diamonds and, like our saw, is water cooled. 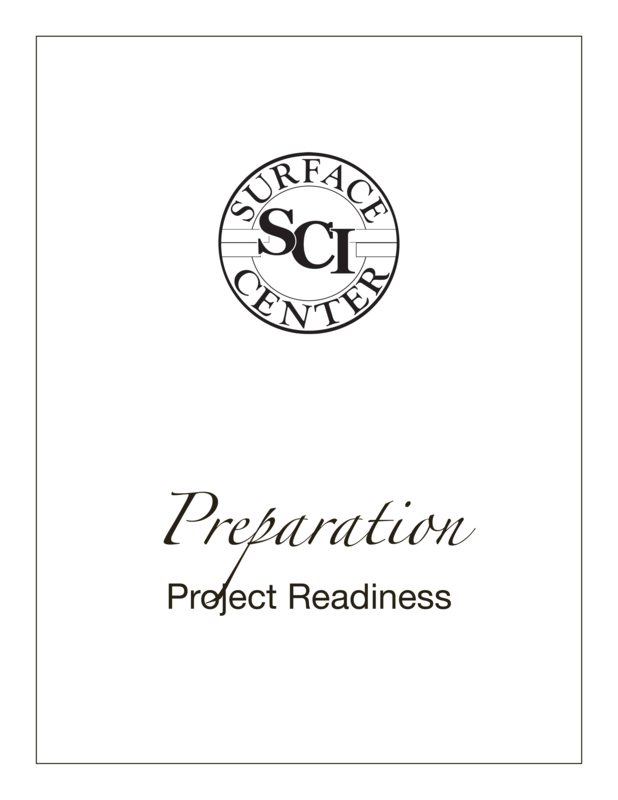 Our production facility has two Pro Edge III’s and a Marmo edge machine. 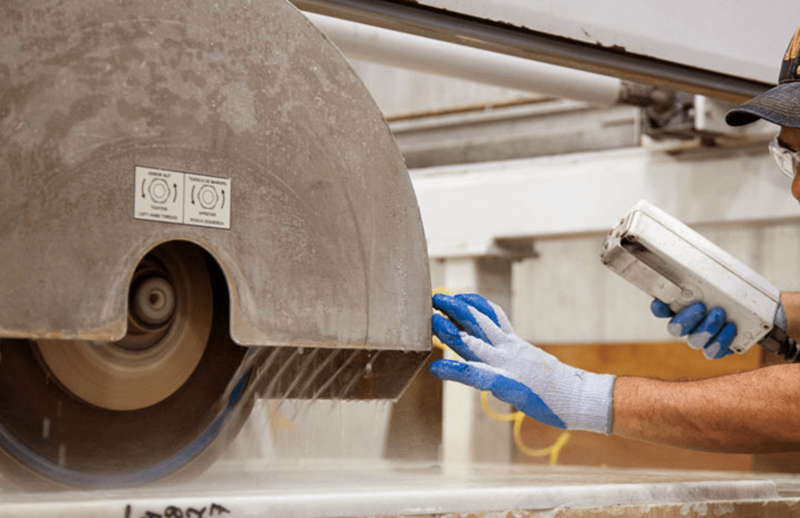 Using state of the art machinery allows us to get consistent edging throughout your project. All edge work is done on either our CNC router or on one of our state of the art edge machines. This technology reduces rippling in the edge which can be caused by the variance in hardness found throughout a piece of stone. This is just one attention to detail which sets us apart from the “other guys”. When leaving the CNC, the edges have been formed but they are very dull. All pieces with an edge moves to our professional polishers. Our polishers use polishing guns with a rotating head that have interchangeable polishing pads with diamond grits. The finer the grit of the pad, the higher the polish and shine of the stone. Although granite is very durable when it is installed properly, it’s not un-breakable. It can be chipped or cracked if it is struck by a sharp object. Granite is not flexible and will crack if it is forced to twist or bend , therefore, granite should only be handled by professionals and must always be adequately supported by proper framing or cabinetry. Countertops are loaded and carefully shipped to their installation destination. These custom pieces are extremely heavy and should always be done by a professional installer. Once the countertop base is ready, the installation team will carry the countertop in and carefully position it into place. Please provide a clear path to the cabinet location. Some custom trimming may be needed to assure the perfect fit. Once the countertop is in place, the professional installers will secure the countertop and properly fit the seams. 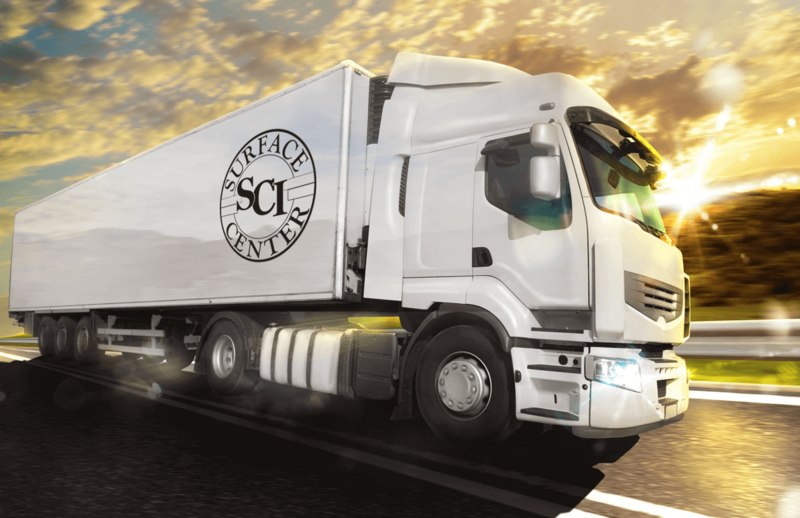 We take great care to ensure that all seams are tight, strong and virtually invisible. Obviously, some colors and stone patterns make it difficult to conceal the seams perfectly.